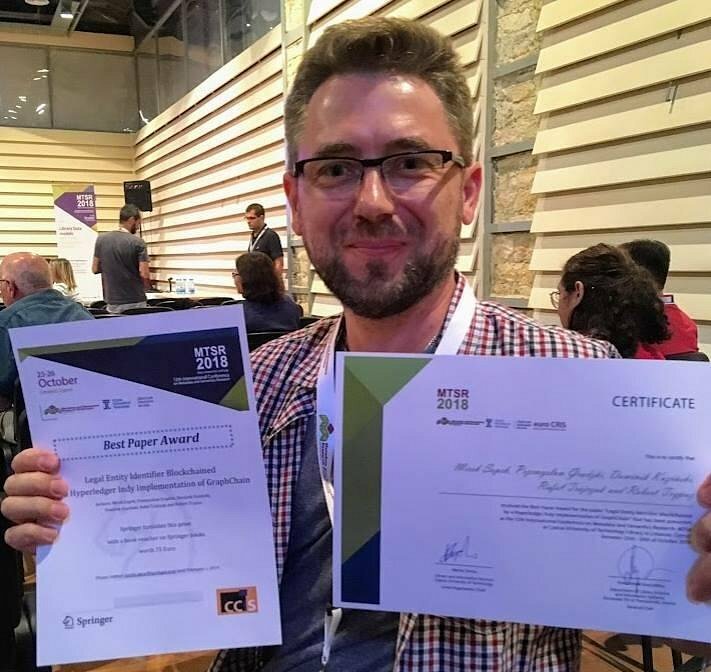 The 12th edition of the Metadata and Semantics Research conference broughtour R&D team the prestigious Best Paper Award. 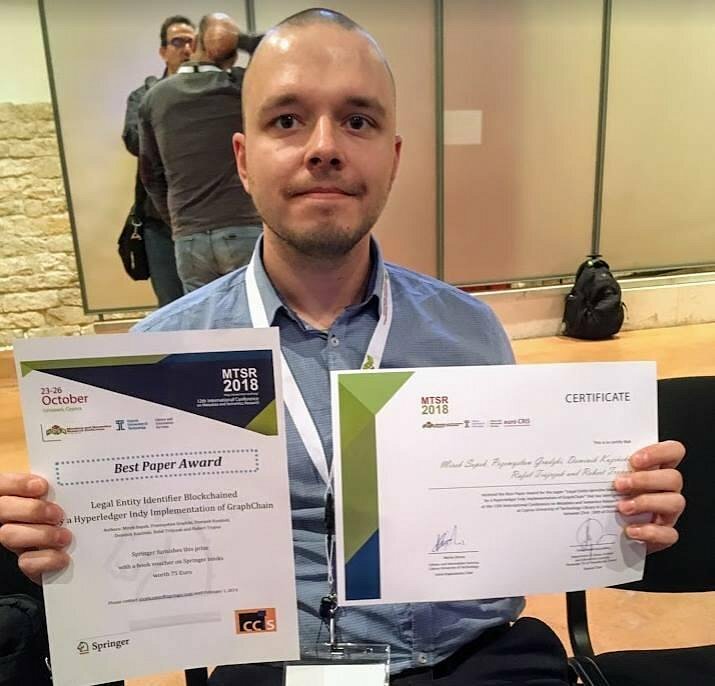 The MakoLab expert team received it for the paper entitled "Legal Entity Identifier blockchained by a Hyperledger Indy implementation of GraphChain". The Graphchain concept has already proven its practical use in the application forLEI.INFO - the MakoLab digital identification product dynamically developed in the USA. This is the first international success of this scale for the Graphchain concept created by MakoLab. It has been developed by a team of 6 experts: Mirosław Sopek (CTO MakoLab), Przemysław Grądzki, Witold Kosowski, Dominik Kuziński, Rafał Trójczak and Robert Trypuz. There were 40 papers that took part in the competition but the report presented by the specialists from MakoLab turned out to be the best. The winning article presents the implementation of the idea of Graphchain (i.e. the use of Blockchain mechanisms to secure RDF graphs) in the Hyperledger Indy environment used in the LEI.INFO system to ensure the safety and integrity of LEI data. LEI.INFO – the technologically advanced SAAS platform that uses semantic technology created and developed by MakoLab USA - is based on the idea of Graphchain. Thanks to LEI.INFO, companies can find a reliable supplier, partner or a customer. You can read more about LEI.INFO here.